and WELCOME to my lifestyle blog. I am a 30 something year old maneuvering life as a creative, wife + mother to Deacon, 9, and our fur-baby Charlie [let’s be real dogs count as children]. Deacon was diagnosed with Sensory Processing Disorder (SPD) when he was 5. Needless to say, raising a child with learning differences isn’t all rainbows and unicorns. Life has been a balance of patience and understanding all while attempting to feed my personal desire to create. Designing has found its way into many different facets. I’ve been known to be a “jack of all trades”. My true passion has been in interior/architectural design. As a child I would constantly re-arrange my room and even accomplished a degree in architecture. These past 4 years I’ve worked on remodeling a Mid-Century home. Recently, we decided to embark on another mid-century remodel, in a new city and a new state. This is my story. 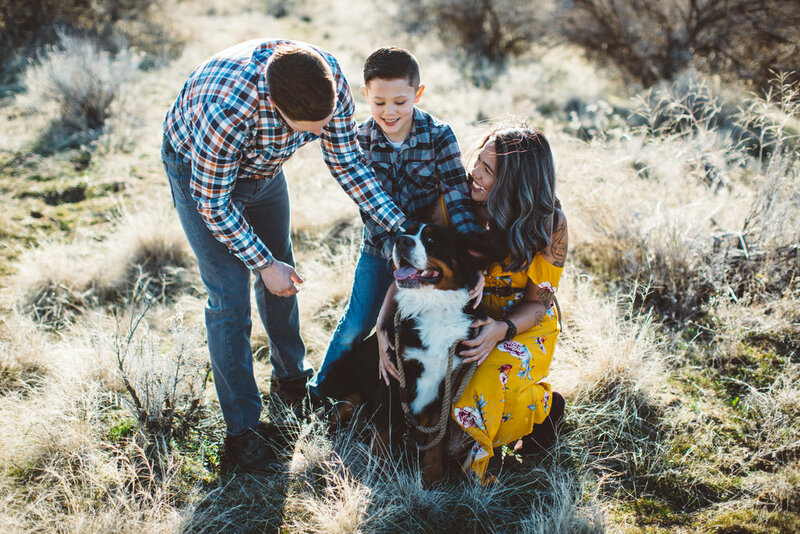 The good, the bad and everything in between while creating a new home in Idaho and raising a happy, confident kid.